Katie is always very prompt in responding to my e-mails concerning my insurance. She is very pleasant to work with and works to assure I get the best price available. I highly recommend Blue Marsh Insurance to all my family and friends. I have not been disappointed at all since I became a customer of Blue Marsh Insurance over 5 years ago. You and your team are always quick to respond with a smile in your voice and if an immediate answer is not possible, follow up is always prompt. I love that we are always made to feel like you really care about us, as if we are family. Always with honor & respect; never pushy. Keep up the good work! Katie at Blue Marsh is always so pleasant to deal with. She seems genuinely concerned and wants to help! I love that I can just email or call her with any questions and she just knows me...She doesn't need my policy number to identify me! You all are always willing to look around and make sure I'm getting the best deal too! Thank you! The service at Blue Marsh Insurance is always flawless. Your team is always polite and easy to work with. I love that everyone is so very friendly and responds to my messages in a timely manner. I've always gotten the best customer service and I'm highly satisfied with your answers to my insurance needs. I never feel pressured or hurried into making decisions. The only drawback I have found is that you are too far away. Although this has not caused any problems in the few years I have been a customer. Thank you for being an insurance company that makes me feel like a valued customer! We are relocating and purchasing a new home and Chris was very helpful. He collected the information and called back in a timely manner with a quote. He also said to stop by when we move and he can also help us with our car insurance. We chatted several times and he was always very pleasant. Blue Marsh, Erika and Hayley always go above and beyond. I never have to wonder what's happening. They keep me informed every step of the way. Recently I was quoted a price for life insurance and shortly received a letter from the insurer saying they had to increase the price due to what seemed like unrelated issues. I spoke with Erika who contacted the insurer and negotiated for me back to the original prime pricing. They saved me a hundred bucks a year which over the years I maintain this policy will turn into thousands. Love working with them and they're local too. Thanks for everything!!! Ken takes the time to explain everything and is more than willing to answer any questions. He was willing to stay after hours to make it work with my schedule. I love that it's local and if there is any problem I can stop by or give a call for a quick response. 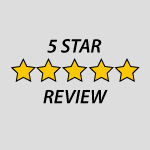 We have been with the company for over 25 years and have had excellent service! You do everything right! Great, professional, courteous and friendly service each and every time. You guys are just always there to help us out! Save us money, be our HR department when needed. You are so awesome. Steve did a great job of finding me the best coverage at the most reasonable cost in a very reasonable amount of time. Awesome service! Erika gave very clear information about our options. She answered all my questions promptly and professionally. She made the process super easy. Your company is very friendly and try to find everyone the best possible rates with great customer service! I have given 4 people your information already!! I work in a collision repair shop which does estimates also. We deal with 95% of insurance claims. If I hear a customer is shopping I bring up your company. I let them know how much you saved me and also how much you have taken care of me. Thank you for all you do. Your totally honest approach to help people, like Laurie and me, with insurance needs. We have recommended you often to people that we know. We hope they take advantage of your great services! Blue Marsh has always been right there to handle any issues with either our home, auto, motorcycle or now a boat insurance. I would highly recommend them. Honest and above all ethical and moral in their business practices. We LOVE having our own assigned person to work with. Also your customer service is top notch! Friendly, knowledgeable team that explains in detail the options and specifics of plans. Not pressured into making decision on the spot but felt so confident after discussion that I didn't have any concerns in decision I made. Have referred several people based on my experience with this great team! We love Tom and his team at Blue Marsh! They have saved us a ton of money over the years through multiple insurance policies! They are always quick to help when we have questions, we recommend Blue Marsh frequently to our friends! Blue Marsh is a great mix of honorable service that is backed with unbeatable industry knowledge. My experience with Blue Marsh's insurance specialist was always positive. Blue Marsh employs personable and intelligent insurance specialists who were very proactive in servicing my insurance needs. Blue Marsh always has our best interest in mind. We have purchased our personal and business insurance through them for many years and we are very pleased with their competitive rates and exceptional customer service! Your agency is always there to answer our questions. They are willing to seek out the best coverage for our needs that fits our budget. We often feel that our insurance is a custom package put together by dedicated employees of Blue Marsh. Incredible company to work with!! Always available to answer questions and help in any way they can!! Tom and his team really saved us a ton of money on my home and auto insurance and we even were able to raise our coverages and still get a great savings over State Farm! I will always look to Tom and his team for all my Insurance needs. Thanks guys! Our family member recently finished his service in the US Marine Corps. He had USAA car insurance that wanted to charge him $3220 a year. Blue Marsh saved us $2500. Blue Marsh is just great..
Personalized service - you guys at Blue Marsh Insurance are more than just our agents, you are our friends. My phone calls were returned promptly by your courteous staff. All of my questions were answered and I got a great rate on my auto and home insurance. Thank you!